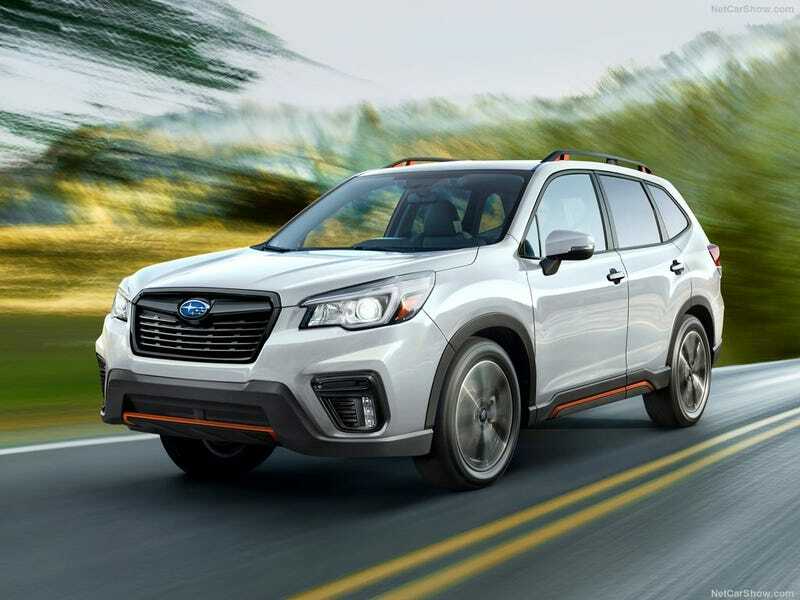 Being a Subaru owner and fan, one of the things I was looking forward to the most was the reveal of the all-new 2019 Forester, the long awaited fifth generation model. I was mostly underwhelmed by the current fourth generation’s shoddy build quality and sluggish performance, and taking into consideration the vast improvements made to the Impreza last year, I was hoping for something spectacular. Well, here we are, and the most I can say is that it’s very much a Subaru. On the outside, you can immediately notice the family resemblance to the upcoming Ascent crossover and already existing models such as the Impreza and Outback. It’s a very chiseled shape that evokes a feeling of ruggedness and a can-do attitude which is usual for Subarus of this ilk. Up front is a pair of headlights that seem to be borrowed from the Outback and a smart looking grille, however, I’m not exactly sold on the fake vents holding the fog lights. Around back, the Forester seems to take a big turn for a more exciting look with a set of much angrier tail lights separated by a horizontal body colored piece which brandishes the Subaru logo. The rest of it is rather familiar to the outgoing generation, however. Technology-wise, Subaru claims this is the most technologically advanced model they’ve ever produced, with safety first in mind as always. The Forester of course includes Subaru’s fabulous EyeSight system, but also introduces an all-new system which Subaru calls DriverFocus. What DriverFocus is is a means of keeping track on the eyesight of the driver, some computer stuff happens and basically it knows if the driver is tired or distracted just by the look of their eyes. Basically, it’s an updated version of the same deal you could get on a few Lexus models ten years ago. The interior is heavily updated for 2019, with a design scheme that’s quite similar to the new Impreza. It features a new version of the STARLINK infotainment system which is, of course, CarPlay and Android Auto compatible. The materials have also apparently been updated quite a lot as well, which is definitely an improvement if true. If you’re looking at these pictures and wondering about the orange trim, that is courtesy of the new Sport trim, which employs the use of a more sporty driving style courtesy of Subaru’s SI-Drive system, an upgraded Lineartronic CVT with seven-speed manual mode, as well as a bunch of pretty gizmos. Under the skin, the Forester now features an updated 2.5L H4, sporting 182 bhp versus the previous 170, mated to a standard CVT. It also includes Subaru’s symmetrical AWD system (of course) and a generous 8.7 inches of ground clearance for those who want to use it as god intended, or just want to boast about driving down a dirt road. All in all, while the Forester may seem like the same old thing on the outside, Subaru has seemingly done a lot of good work to improve the old gal. The new Forester will truly be a hot commodity, and expect to see them sometime within the course of the year.